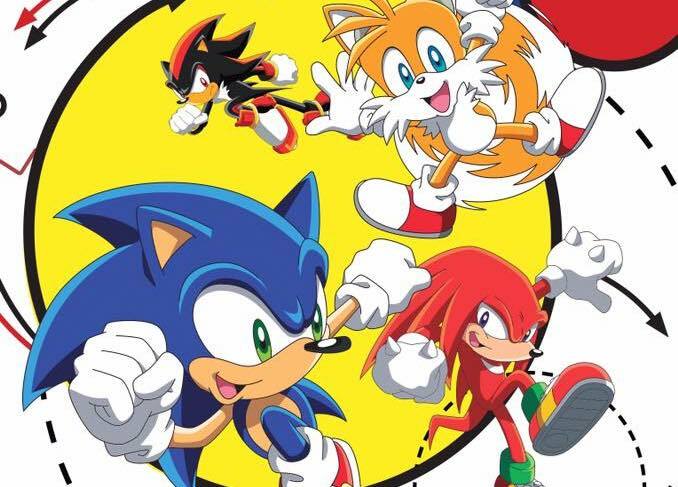 Discotek Media has given fans of Sonic X an update on their North American DVD releases via a Facebook post detailing all of their upcoming titles. The Sonic X Seasons 1 and 2 Collection, which was originally due out September 27th, has been moved to November 8th of this year. The Sonic X Season 3 DVD collection, which will round out the series, is set to release a month later on December 6th. Both Sonic X sets will only feature the English language version of the series, which is sure to annoy purists and delight Mike Pollock fans. This makes Sonic Boom the only animated Sonic the Hedgehog series not available on home video in North America, which is sure to delight purists and annoy Mike Pollock fans. As for Hi-sCool! Seha Girls (Sega Hard Girls), another SEGA title that Discotek Media has long promised, they still plan on giving the series a DVD and blu-ray release and they will be picking a date soon. Seeing as how the show is about all things SEGA, Sonic makes his fair share of cameos. You can pre-order the Sonic X Seasons 1 and 2 Collection now. We’ll let you know once the Season 3 Collection appears as well as the date they end up assigning Hi-sCool! Seha Girls.